Free Shipping Included! 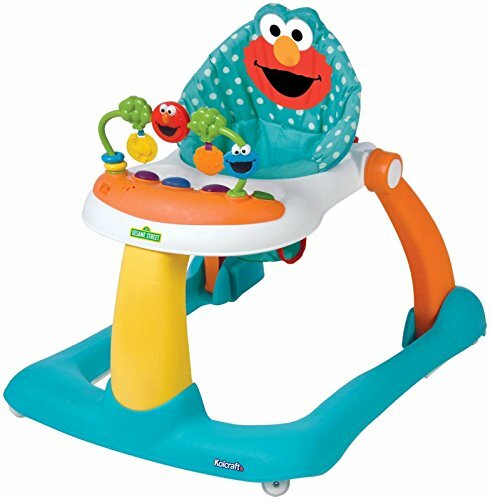 Sesame Street Elmo Walker, Sesame Street Elmo by Sesame Street at Baby Bouncers & Swings. MPN: SW012-SSE1. Hurry! Limited time offer. Offer valid only while supplies last. As an activity walker and a walk-behind walker, this Elmo-themed walker provides endless enjoyment for your child from infancy through toddlerhood. As an activity walker and a walk-behind walker, this Elmo-themed walker provides endless enjoyment for your child from infancy through toddlerhood. Interactive learning is fun with lights, music and six developmental activities. A high-back, plush foam seat features Elmo and provides comfort and support during play.